Last Call! 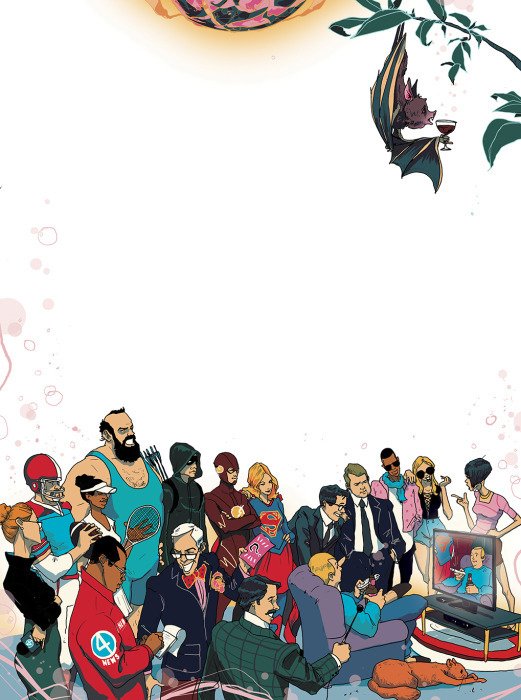 Here’s a really fun subject illustrated by MICHAEL BYERS for CBS Watch! Magazine. 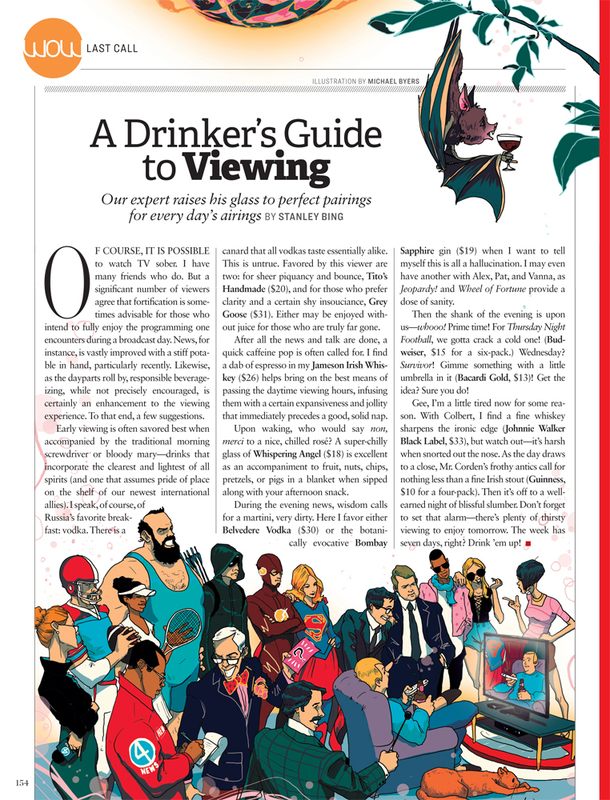 The article is called “A Drinker’s Guide to Viewing” and is about choosing the perfect cocktail for all your TV viewing. What’s your perfect pairing for your favorite show, game, etc.? “Can you watch TV sober? …significant number of viewers agree that fortification is sometimes advisable for those who intend to to fully enjoy the programming one encounters during a broadcast day.” Hilarious article! Huge thanks to our buddy Ed for his continued support in using Mike throughout the years!